A letter from the employer describing the proposed duties and establishing that the position is one listed in Appendix 1603.D.1. The letter must also establish remuneration, anticipated length of employment (however, no longer than one year) and education qualifications or other appropriate credentials that demonstrate having met the requirements of his selected field. Some ports of entry also require that the employer’s letter or other documentation provide a description of the minimum requirements of the position (education, licensure and experience), hours projected to work per week, and background of the employer, including years in business, number of employees and gross income. A Canadian TN applicant applying at the border does not need prior approval from USCIS. At the port of entry, he will receive a Form I-94, Arrival/Departure Record, valid for one year. If the applicant is in the United States, he may apply to change TN status by filing Form I-129, with the above-listed supporting documentation, with USCIS. If USCIS denies the application for admission, the applicant may reapply at another port of entry or before an immigration judge because the denial is without prejudice. 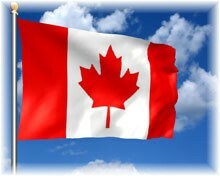 Canadian applicants in the United States in one status may apply to change status by filing a Form I-129 from the U.S. Citizenship and Immigration Service (USCIS). There are no prevailing wage requirements or labor condition application for the TN category. As noted above, a Canadian citizen admitted in TN status will be given an I-94 card endorsed with a “multiple entry” notation. Once in possession of this document, he may leave and re-enter the United States for the remainder of the period authorized without having to submit a new, or a copy of the previously submitted, TN application, provided that the original employer and intended professional activities remain unchanged. If the Canadian citizen in TN status no longer has possession of the I-94 card, but the period of authorized TN status has not lapsed, he may present alternate evidence in order to be readmitted for the duration of the authorized period of stay. Such evidence may include a previously issued admission stamp, a letter from the American employer or a receipt of the paid fee for his TN visa.